6sqft’s ongoing series Apartment Living 101 is aimed at helping New Yorkers navigate the challenges of creating a happy home in the big city. This week, we’ve put together a list of tips for hiring movers and making sure the big day runs smoothly. 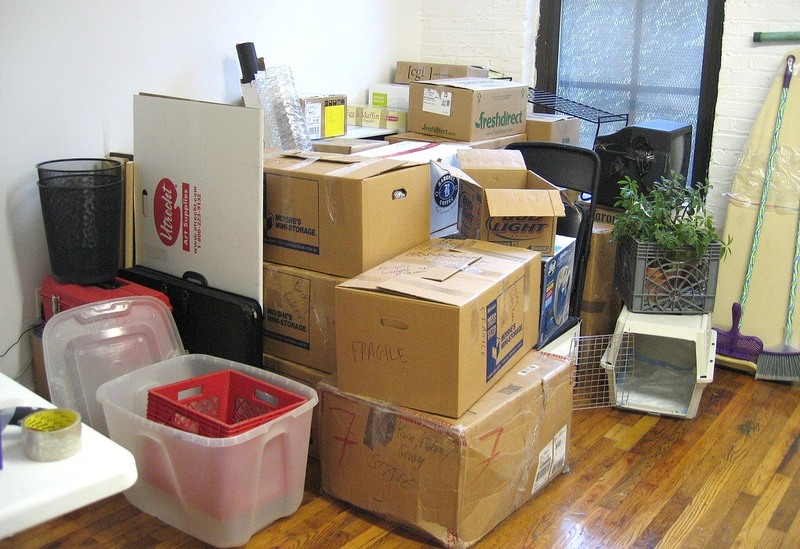 With universities about to let out and warmer weather leading us out of hibernation, moving season in NYC is upon us. 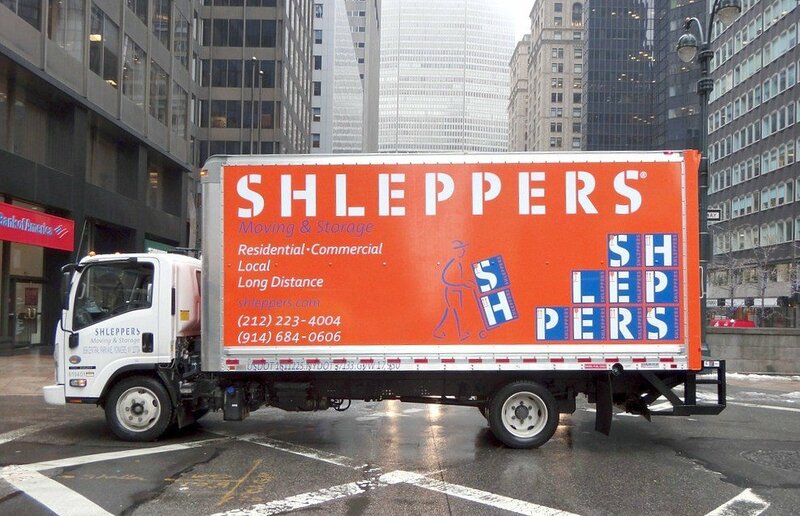 And if you’re not one of the brave souls who plans to enlist family and friends to help with the dreaded schlep, you don’t want to blindly hire the first man with a van you come across. From big corporations to small family-run operations, movers in NYC run the gamut in terms of services, pricing, and proximity, but regardless of which route you take, there are several things to consider before deciding. Ahead, 6sqft has rounded up 12 tips for hiring movers, including performing background checks, making sure you’ve accurately counted your boxes (no one wants to be that person), and negotiating the estimate. Sites like Yelp are great resources, but it’s often hard to determine which horror stories are real and which are just someone with a chip on their shoulder. Get more accurate information from the Better Business Bureau, the American Moving and Storage Association, and service-specific consumer advocacy sites like Moving Scam. Common sense also goes a long way; beware of companies that have no address or phone number or ask for a big deposit in advance. All legitimate moving companies are licensed with the state and have insurance–protecting both themselves and you. You can find out if your mover is licensed by calling 518-457-6512 or e-mailing [email protected] Check if they have insurance by calling the New York State Department of Transporation at 800-786-5368. Depending on a company’s location, how busy they are, or their size, rates can vary drastically. Get several estimates to ensure the best deal, but make sure you get them all in writing (or via email); an estimate given verbally can’t be verified. If the company you really want to go with is more expensive, you can try presenting a lower bid from another mover, though there’s no guarantee they’ll take the bait. And be wary of bids that seem extremely low. Another way to potentially save money is to determine whether it makes more sense to go with a flat rate (regardless of how long the move takes, the price is set based on the amount being moved, how many men it will require, and what size truck is needed) or hourly rate (the company sets a per-hour rate, usually with a minimum). Hourly tends to work best for local moves that will be only a few hours (most common here in NYC), whereas flat rate is best when movers must travel farther or traffic is likely to be an issue. Leases tend to renew on the 1st of the month, meaning that moving companies are busiest at the beginning and end of the month, as well as weekends. Moving mid-week or mid-month will save you money and give you more options if it’s doable. Plus, a lot of buildings don’t allow moves on Sundays, so that tends to also be a good day to schedule. When your mover gives you a price estimate, they’re assuming that the number of boxes and pieces of furniture you tell them is correct. Having more than anticipated will not only incur additional fees, but it’ll likely take longer since the number of men or size of the truck won’t be correct. Plus, you may make the company late for their next job, which doesn’t quite follow the golden rule. If you’re filling out an estimate form before you’ve actually packed, try to fill one box as a gauge of how many more you’ll need for the rest of your things. You can either buy supplies on your own, or some moving companies will supply them for an additional cost (this may save you time and effort, but likely not money). Go to your local bodega, restaurant, or liquor store and ask for leftover boxes; buying them at places like Staples or Home Depot can really add up. It’s also cost effective to buy packing tape in bulk since you’ll probably go through more than you anticipate. For clothing, make a DIY wardrobe by keeping items on the hangers, tying them together, and draping a garbage bag with a cut hole over to protect them. Another hack is to use blankets/sheets in lieu of moving blankets to wrap mirrors, televisions, etc. You can use t-shirts and towels to wrap glassware and other fragile items going in boxes to maximize space. Also be careful when packing books; if you can’t lift the box, don’t assume your mover can. Be sure that your beloved dresser or couch is going to fit through the doorways and up the stairs/into the elevator at your new place. Movers aren’t responsible for items if they don’t safely fit (though you can always call up the Couch Doctor). Movers are not exempt from NYC’s tricky parking rules, so double check there are places for them to idle at both locations and take note of street cleaning days/times. If you really want to make life easier, go outside shortly before the truck is expected to arrive and look for spots that may be opening up that you can hold for them (okay, this isn’t exactly “allowed,” but desperate times call for desperate measures). It’ll also behoove you to enlist someone to be on call to stand with the truck while the move is happening to prevent getting a ticket if the truck does have to double park. As mentioned above, many buildings and management companies have rules related to when tenants can move out and in. This is to prevent too many people from moving on the same day and jamming up the hallways, stairs, and streets. And many want to see proof of insurance. It’s also not a bad idea to be on their good side, whether you’re moving out and may need a landlord reference or whether you’re moving in and will potentially need these folks’ help. A bill of lading is a legal agreement between the customer and the mover, detailing the quantity of goods, locations, start and end times, total cost, and how the customer will pay. Some will also break down all items. For all intents and purposes, this serves as your receipt and should be issued at the beginning of the move or once the truck is packed. 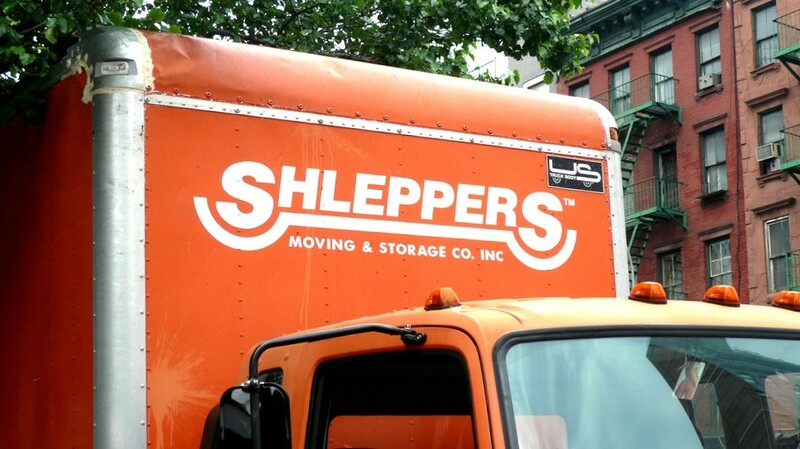 Movers rely partially on tips, so be sure you’re factoring that in when budgeting. The typical rate is 20 percent, plus many kind-hearted customers will throw in coffee and/or lunch if things are taking long. Our movers are professionally trained, reliable, honest and have years of experience in helping families and businesses move. No matter how simple or complicated your move might be, we handle everything from piano moving to antique moving with care and attention. We provide basic moving insurance free of charge to the customer. We care about your belongings, and use all types of protective materials in order to keep your items safe while in transport. As a highly professional moving company, we are constantly expanding our services. Working with us, customers receive a detailed quote and consultation, individual planning, and customized organization of their move. Give Us a Call Today at (888) 792-MOVE or Fill Out our on-line Quote Form to receive a free, no-obligation moving estimate. Our local movers know that the majority of the move is going to be transporting from apartment or home to vehicle and then unpacking https://traditionalexpress.com/local-moving/ There’s not going to be a large amount of distance traveled between one place to another. Since it’s a local move, we’re able to give you a package that includes packing. We have high quality packing materials that allow us to keep your things safe and tidy during a local move.